Karina's Kreations: It's Sale-a-bration Time!!!! 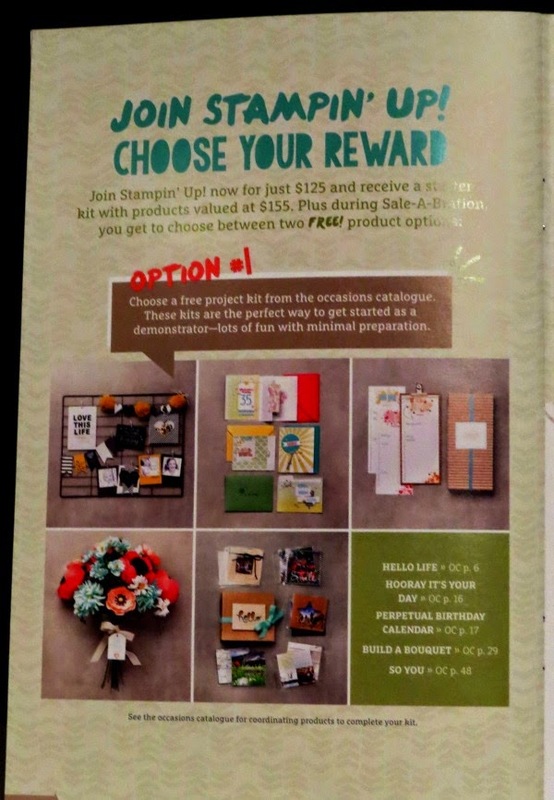 For the next 3 months, you can get free product with every $60.00 you spend in Stampin'Up products. You can choose your items from a special Catalog. If you want a catalog email me at kchin2@telus.net if you live in Canada. Click here to see the online catalogs! 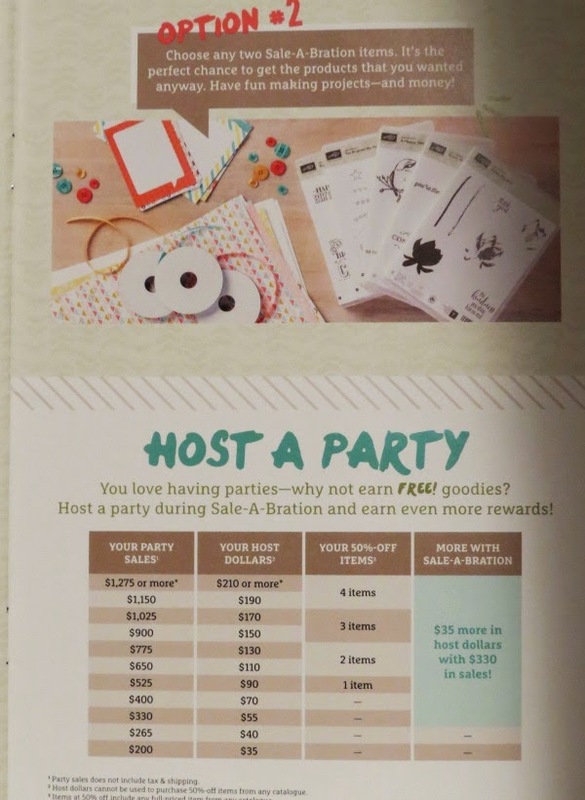 Plus there are 3 extra ways to earn free product. Buy the starter kit for $125.00 and choose a special kit as a bonus gift or 2 Free Sale-a-bration items. Plus you can come to my coffee talk classes. The next one is Thursday Jan 8 at 7:00. Hold a private class and get $35.00 more host dollars with $330.00 in sales. I hope to see you at one of my classes, your own private class or help you with an online orders. I have extra benefits for online orders! Check back tomorrow to see more sale-a-bration samples!